Had on tap at the brewery but this one comes in a can at the store. I love canned beers as you really don’t have to worry about beers getting skunked by light. Pours dark from the can with a small but nice head. Smells of grains and malt with the hops coming through slightly. Herbal aroma, with an earthy nose. This is not an over hopped beer but spiced nicely with hops. If you are looking for a ‘bomb’ this isn’t it. Finishes on the palate nice and balanced with a piney taste. I enjoyed this IPA. Tagged Indian Pale Ale, IPA, New England Brewing Co.
Had on tap and the Gingerman. Hops, hops and more hops in this one. There are hops and some citrus tones in the aroma. There are a ton of hops on first taste and they hit you going all the way back. The head is full, fluffy and white and the lacing this beer leaves is great. After the initial shock I settled in and really could take my time drinking this one. The alcohol never showed up but just a sweet backbone with a ton of hop spicing. A great double/imperial. Pours an amber color with a nice head that dissipates quickly. It has a nice sweet smell with hints of carmel and citrus. It also tastes pretty sweet but with a slight bitter kick at the end. It is has a nice sweet caramel malt, slightly grainy with a light grapefruit hop touch. It was a decent IPA but not sure I would seek it out. I would like to try it on tap. 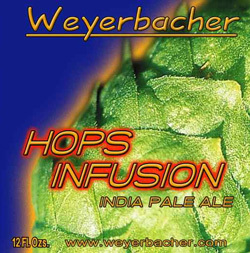 This is very hoppy for a standard IPA but follows the trend that Weyerbacher likes. This brewer has now started to grow a lot of his own hops in Pennsylvania. The IPA pours a nice amber color into a tulip glass from the bottle. It has a great head that sticks a round with some really nice lacing. Hop heavy aroma as I said above. Tastes a bit like you put a very bitter pine tree in your mouth – in a good way. Taste is citrus, undoubtedly cascade in the mix with a subtle malty flavor. I like it but not up there with the great hop monsters but better than half way. Tagged IPA, Weyerbacher Brewing Co. Poured from the bottle into a pint glass a amber color with hints of orange in the light. A small head that falls down pretty quickly. The aroma is hoppy and just a bit citrusy. It is as up there on hops taste and aroma as you would want in a standard IPA. A very nice and smooth beer with just a bit of a bitter bite at the end. A solid IPA.